A couple of days ago I made my dear granddaughter two wet bags, a doll dress with a matching diaper, and got it mailed off to her and Tiny Tot. Kara had asked for another bag because having only one, that I had made her when Jovy was born, meant she couldn’t keep up with laundry since they go out almost every day now. 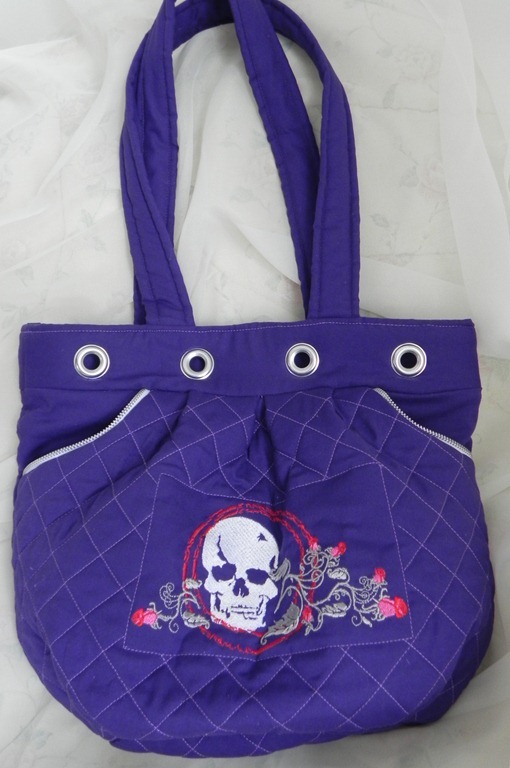 These bags can be used for other things after the diapers are gone, like swimsuits, caught in the rain, whatever is necessary to keep the wet off the floor of the vehicle. Leia has wanted me to make her doll a Mulan dress. Without a pattern for it, I will have to improvise. But before I draft a pattern I want to see how the pattern I have fits her doll. I do have some pretty brocade scraps I can make her something out of, when I know it will fit. Next Sunday my church is having a drive for the local Genesis House, a place for homeless pregnant teenagers. There was a list in the bulletin for “Baby Shower” items. I don’t have any spare diapers lying around but material to make a quilt I sure do. I just finished this quilt today. It measures 34 x 31. So this is my 3rd day without paper crafting, but I’ve enjoyed sewing. I was digging and found a nice large piece of flannel (2 yds aprox.) and will make two receiving blankets before the weekend also. It is hard for my DD to get up early in the mornings, so we attended The Feast of the Assumption of Mary last evening, the vigil at 7 pm. This is a very important day in the Catholic religion. It is the principal feast of the Blessed Virgin, the mother of Jesus Christ. (taken right off the Internet). We had a great homily that renewed my appreciation and furthered my understanding of why we believe this and why she should be respected – other than the fact she is the mother of God. Some facts I learned is about what is not found in Holy Scripture. There are no references to people taking any of her remains like so many other saints were. Nothing. And when you think about her, she was a warrior Queen! Just think about what you know of this young, unmarried, virgin girl and what task was set before her! Blessings to all of you who stopped by. Have a crafty day and shine with your beautiful smile for all whom you see. Each month I eagerly watched the videos by Amy Gibson, downloaded and cut out my patterns, and put together my twelve inch blocks. There were two per month actually. 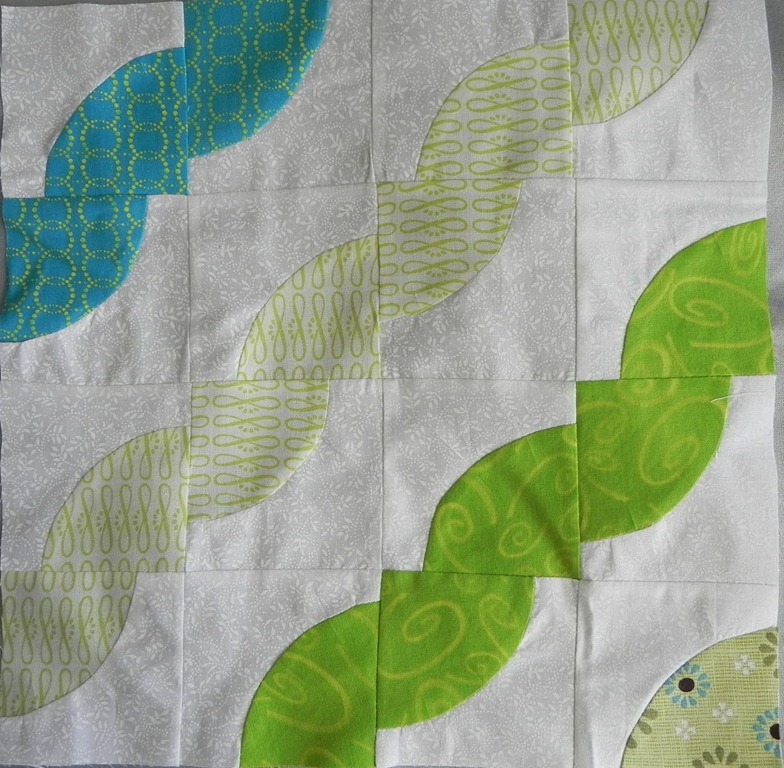 Here is where the time lapse comes in: making sure the sizes of each block was true, cutting and sewing the white strips, arranging the blocks into rows, ripping them out and rearranging them again, finding the right green fabric for the backing and final border. Finally I was ready to have it quilted. I chose to go the professional route because of the time and skill required to complete a bed sized quilt; doing it myself wasn’t worth the money I would pay. After calling around I chose this local quilt shop owner. I knew she was trustworthy, and there would not be any disappointments in her workmanship. I was not disappointed! Boutique 4 Quilters did a beautiful job, and I must comment that she isn’t the cause of my long delay. Once I got it back I added the binding. I machine sewed the strips on one side, and hand stitched the other edge by hand. This is something I really enjoy. While waiting for Kristy to take a class in Orlando I sat in Wawa’s parking lot and worked on it. The final stitches were made in the living room with my Ott light on and Mia in my lap. Mia is known for sitting in my lap, especially when there is a quilt in it also, but for the most part I kept her off my lap during this process for obvious “sharp” reasons. 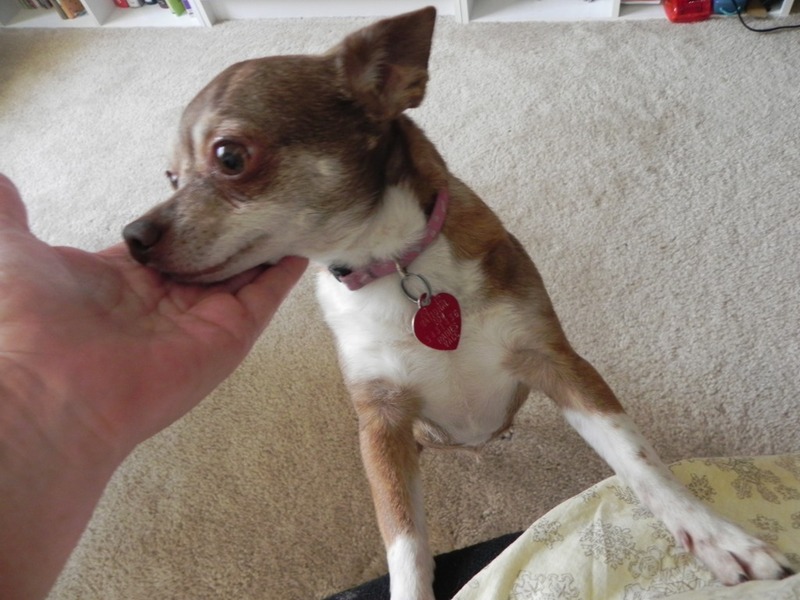 However, when it came down to the last small section she was not being deterred. I actually tried to push her off and she stretched and rolled with my effort but, alas, held her ground. Taking advantage of a sunny day, I asked, or begged, Kristy and Patti to come outside with me and hold it up. Thank you Kristy and Patti! In the end, the blocks that were not so perfect still look good to me now. This will be a cozy quilt to cuddle under, just ask Mia! 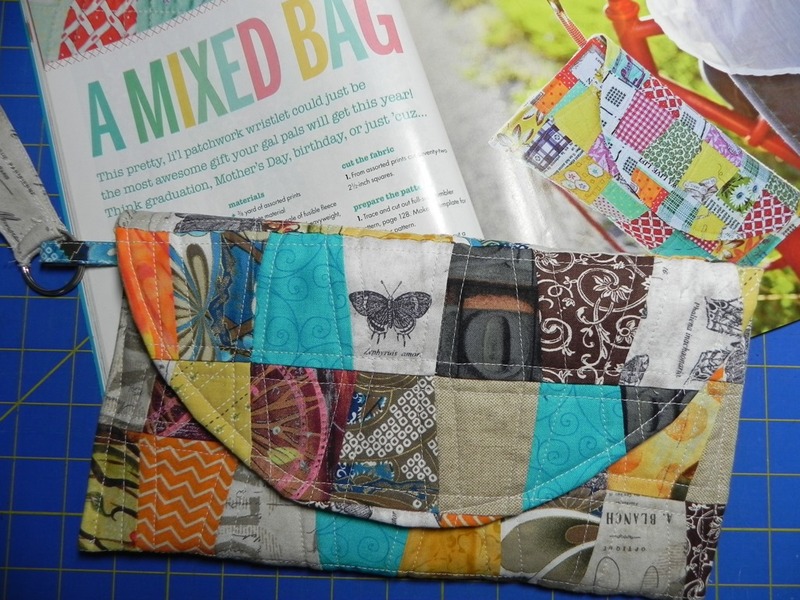 The pattern for this little bag, wristlet, is in the “Fresh Quilts” Magazine spring/summer 2014 issue. 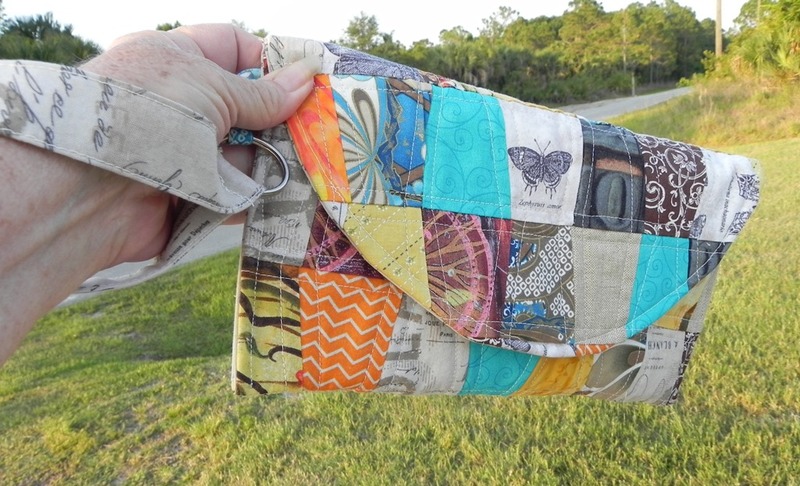 Mine is made with cotton scraps, including and featuring, Tim Holtz fabrics. I started selecting fabrics and cutting them in the little tumbler shapes last night and pretty much spent my day piecing, quilting, and sewing today. I’m quite happy with it. 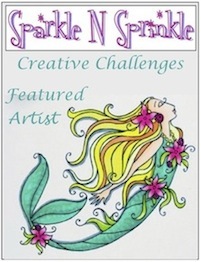 Now, to get the place mats and napkins made! Attention! Some really BIG news is coming for all my paper crafting friends. Come back tomorrow please. I did finish a little kitchen towel for Great Grand to go with her little play kitchen. 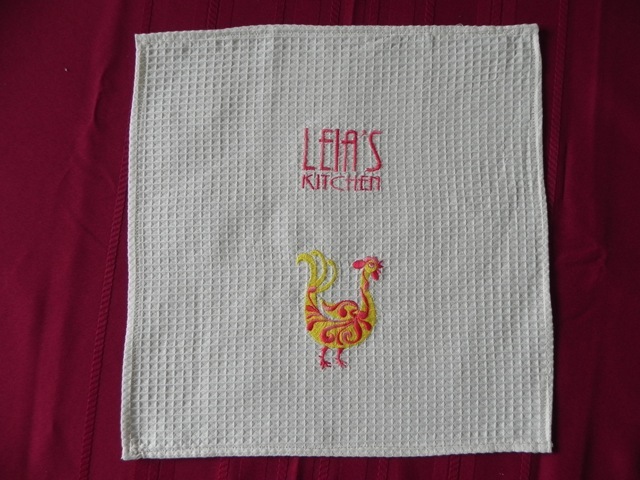 It is machine embroidered with my favorite “cool chicken” design from Huskavarna and I added the title “Leia’s Kitchen”. 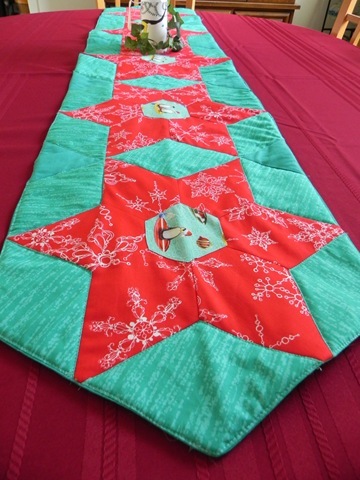 The design of my table runner was created with the help of a pattern from a book: Quilter’s Academy by Harriet & Carrie Hargrave. Gotta give credit where credit is due. 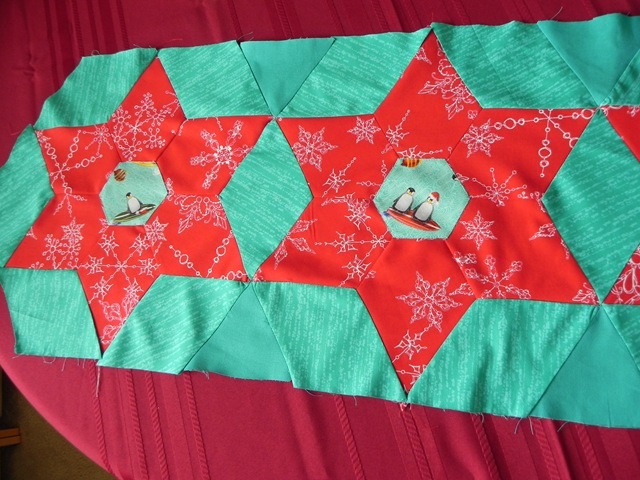 The center hexagons are fussy cut surfing penguins with a Santa hat. It is 5 sections long, measuring about 15” by 60”. Here are three more blocks for the Craftsy BOM project I’m doing this year. 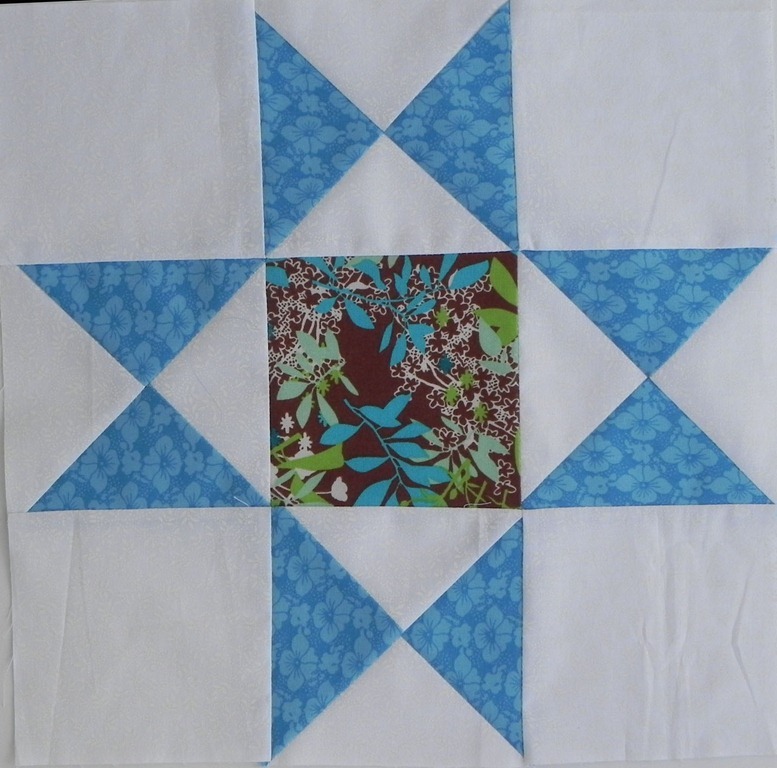 This one was paper pieced. I rather like my fabric choices. This is the second time I visited the style of paper piecing. 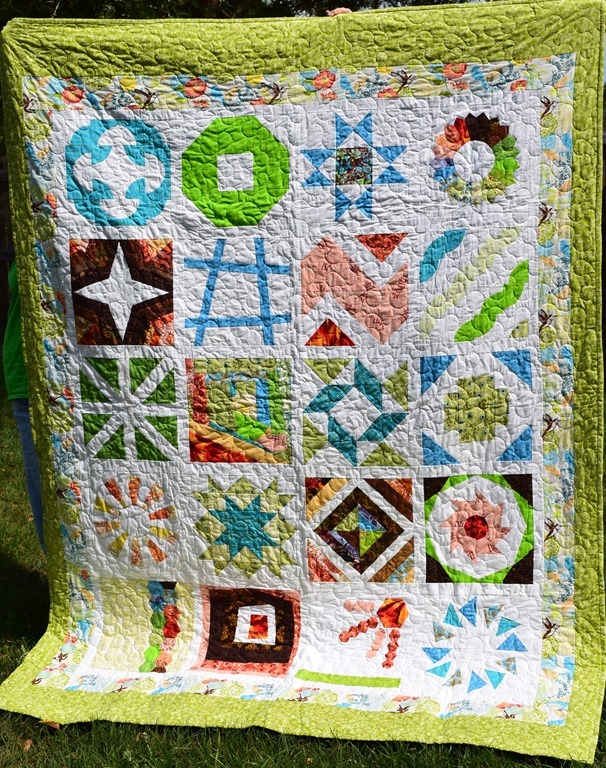 I was part of a group (45 quilters) who exchanged sets of squares from which we had to design and produce a quilt using at least bits from nearly all the squares. I designed a spiraling pattern with the help of a Jinny Beyer’s book – Designing Tessellations: The Secrets of Interlocking Patterns. I even won 2nd place for Viewer’s Choice out of the 45 quilts. 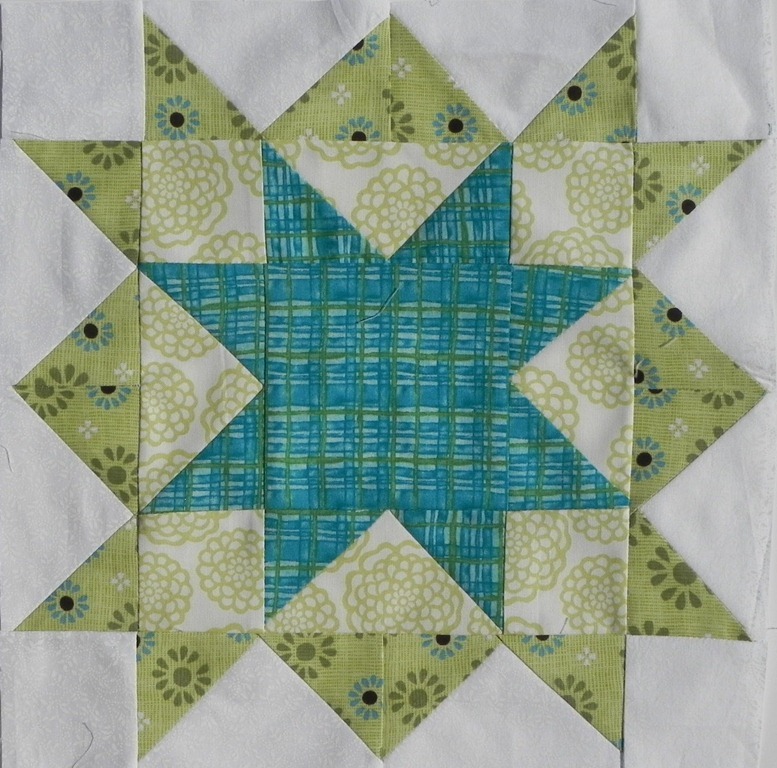 My last block for Craftsy – October’s second BOM – is another paper pieced block. I have the papers printed, it’s just a matter of sitting down at the machine and doing it now. These two were very time consuming. 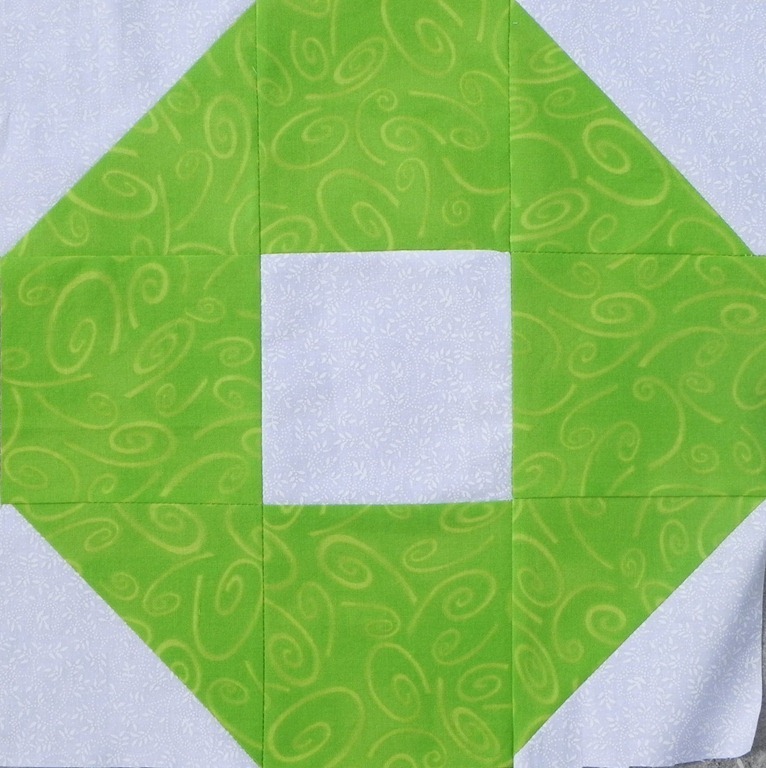 There are 32 pieces to cut per block, 16 curved lines to sew before the rows can be sewn together. When I cut the pieces exactly to the template given I was too small for the block. Each of the 16 blocks needed to be 3.5 inches. So, I started cutting the pieces a tad larger. The effect of these blocks is pretty. I actually made a wall quilt using this curved block several years ago for a boss named Paul back in Virginia. Then I used Asian fabrics for the inside piece and batiks for the outside. That was a pattern I took from a book. I don’t have a photo of that quilt, wish I did. I look forward to these last two months with Craftsy.com as we pick up on ideas for the sashing, borders,and binding I’m guessing. 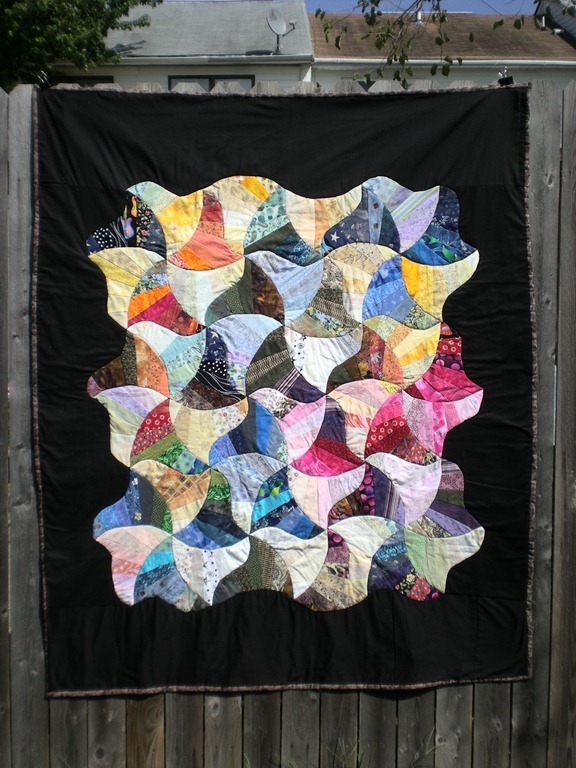 I plan to pay to have this huge quilt quilted on someone’s longarm – it’s worth the money. 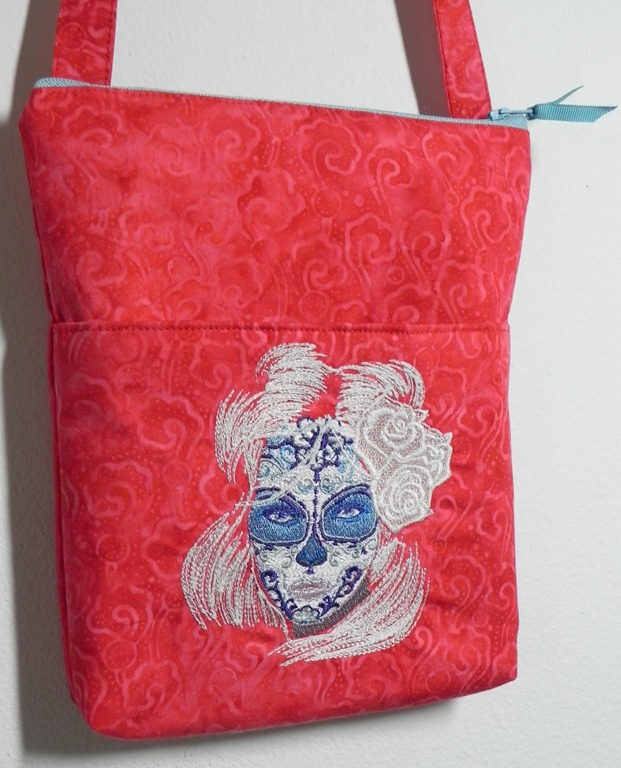 I’ve added two purses to my shop! I really moved with these patterns, already have August done. I’m happy with my color choices, most likely because of the blues and greens I guess. This is Ohio Star. The lesson is to visit quarter square triangles. The center square is a scrap from a dress I made for Leia. The blues aren’t a perfect match to the other blues in my fabric collection but it just seemed to work as an accent block since the dark brown is right for the focus fabric. This is the Double Star. I learned a couple new tricks from this class. The first was to make sure I pick a contrast for behind the center star so it will stand out. I had the blue-green arrangement going on in my head and just had to work out the final choices. I like it. Another tip Amy gave us was what to do with the tiny triangles that would be cut off when the squares are added to the rectangle. That appealed to my conserve and waste not attitude. So, here we are, done with August Block of the Month already. Since working with the patterns got me in the mood to create I finished the pattern for a table runner I want to make with my surfing penguins. It’s all drafted, templates made, and most of the pieces are cut. I finished my two blocks for July. This month we visited the traditional Dresden Plate pattern and a modern version without the points. 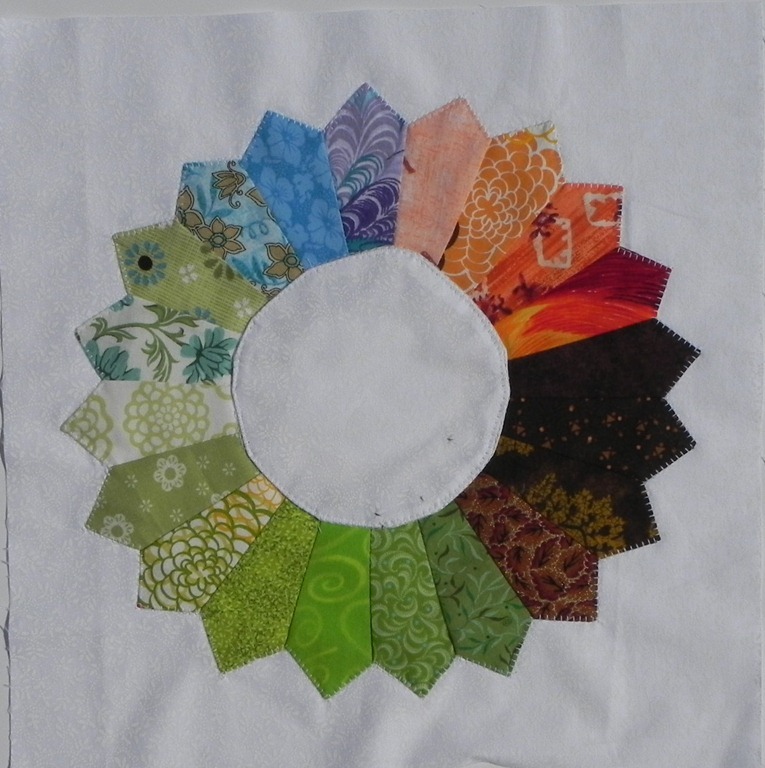 The color arrangement is typically spread out evenly but I chose to put my colors together more like a wheel. This was a fun pattern to make. It would make a nice throw pillow block too. 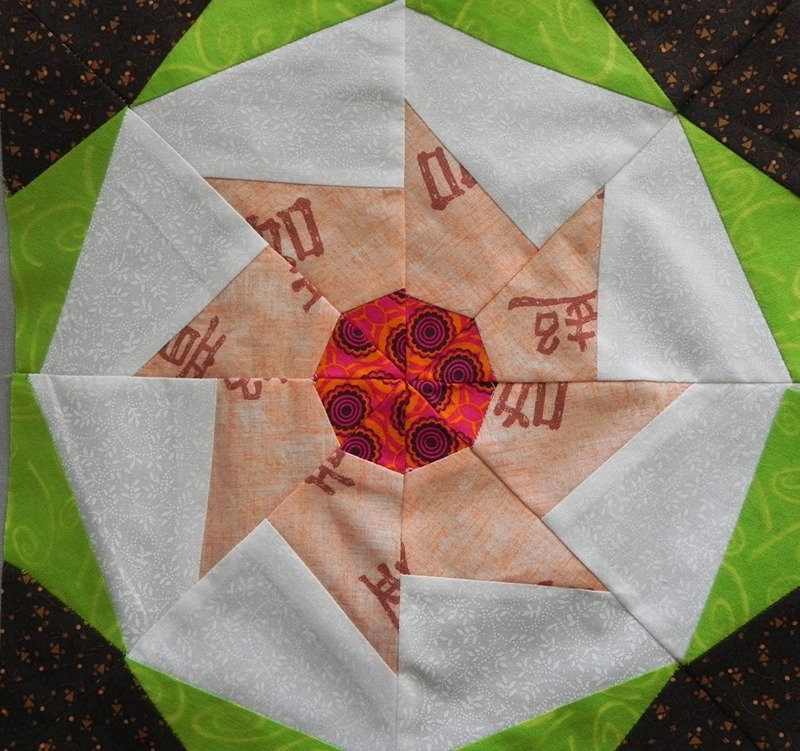 Once the blades are sewn together, the entire circle is placed on the background and stitched. 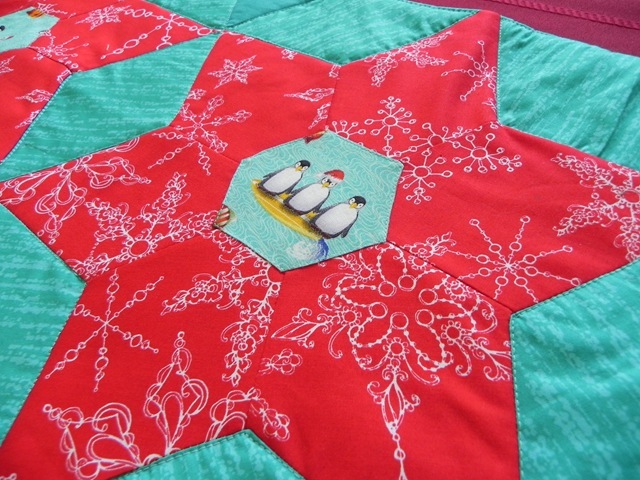 I used a blanket stitch, as well with the center circle. 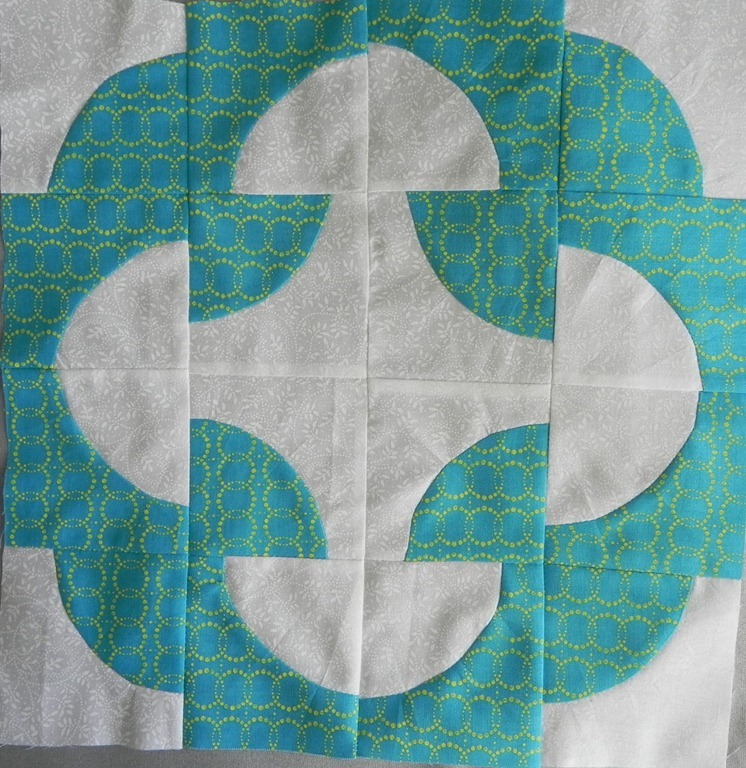 For this block, we were to cut a longer blade all from the same fabric. The blades are sewn together without making the point on the end. 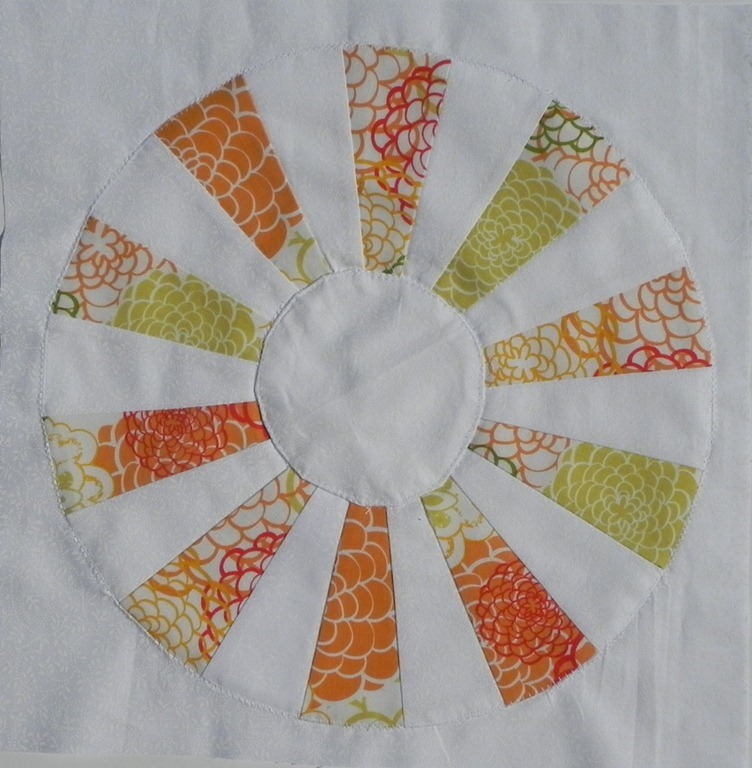 Once all the blades are in a circle, it is placed right side down on a square of fabric – I used my background white as well – and stitched with a small seam allowance. Because there is a hole in the center, it is easy to turn it right side out. The edges are smoothed out and ironed. 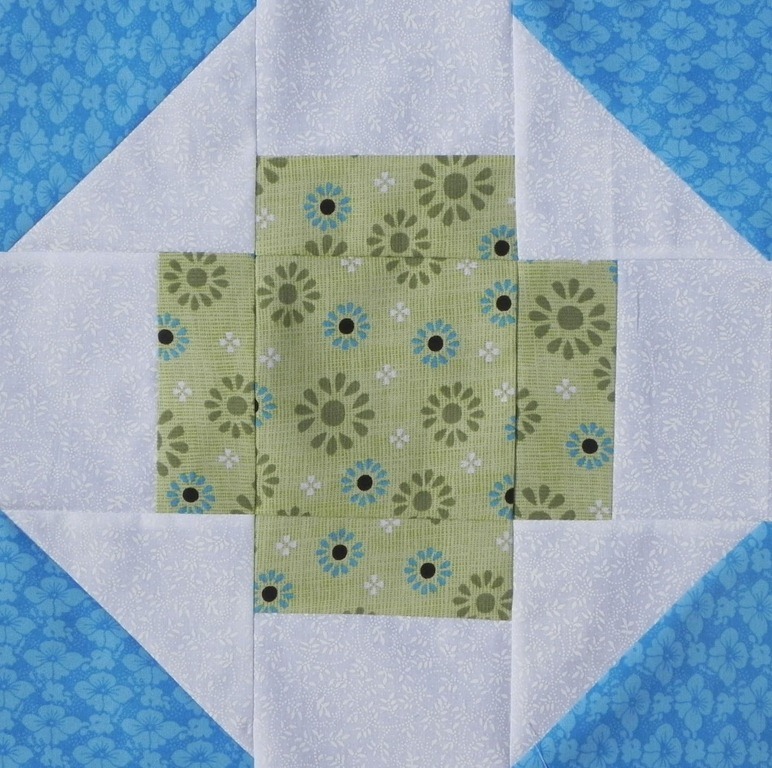 I used the blanket stitch from my machine for this block as well. Once again the center circle is stitched to cover the inside ends of the blades. Actually I did a better job on this circle I see. To make the circle, I cut a template from paper 4 1/2 inches. 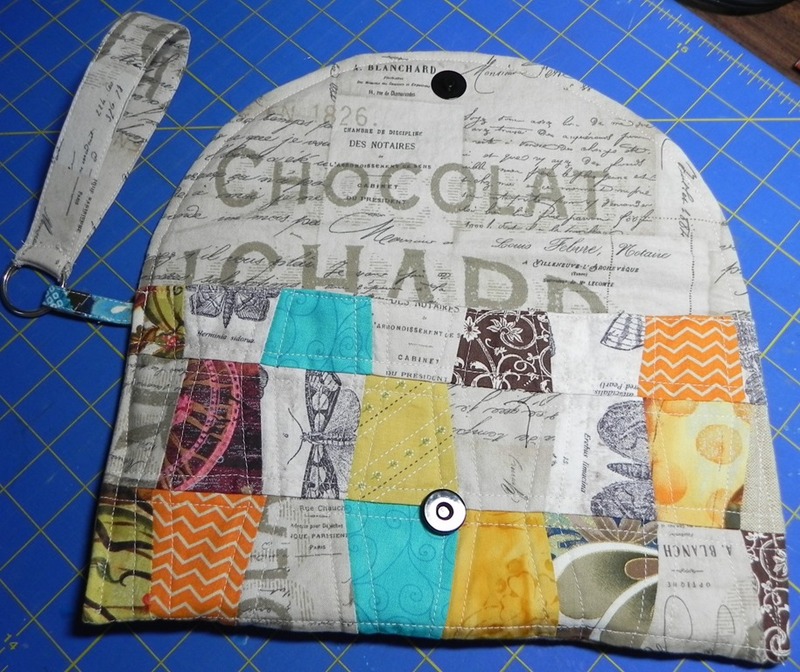 With right sides together sew a seam close to the edge – trying to keep it round. Pull the centers apart with your fingers and clip one layer so it can be turned right side out, presenting you with a nice smooth turned under edge. The hard way would be to try to press under an edge with a single layer. After the circle is turned, smoothed and pressed, I stitched it down with the blanker stitch. Ok, I’m ready for August! I have my 5 July Christmas cards and my 2 BOM’s done for this month. Finished my two blocks for June. These sport the half-square triangle and went together easily enough. I’m liking my fabric choices for these.